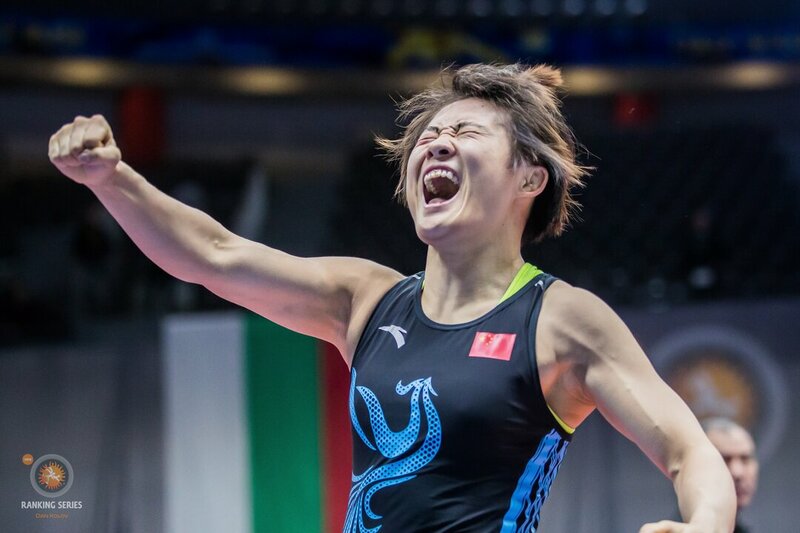 Reviewing results from the Asian Games, and the 2018 Pan-American Junior Championships. Also taking a look at Lebanon's first continental medalist ever. World and Olympic champion Hassan YAZDANI (IRI) stormed to the 86kg gold medal at the Asian Games, helping Iran grab one of their two gold medals on the opening day of competition. Yazdani, who earned his first career title at the Asian Championships in Bishkek earlier this year, completely overwhelmed Domenic ABOUNADER (LBN) in the 86kg finals, taking just 1:29 to score a 10-0 technical fall. Iran picked up its second gold when Ali KARIMI (IRI) scored with a 4-point move in the first period and cruised to a 6-0 victory in the 97kg final over five-time Asian medalist Magomed MUSAEV (KGZ). The United States produced nine freestyle champions at the 2018 Junior Pan American Championship in Fortaleza, Brazil, winning the team title 93 points ahead of second place Canada. Mexico, with its 100 points finished four points ahead of Brazil and grabbed the bronze medal. Jonathan PRATA ALAS (ARG) was the lone non-American to leave Brazil with a freestyle gold medal. Prata Alaz, the 2017 Cadet South American champion won the title with a thrilling victory over Kevin CHAVEZ BETANCUR (COL) that saw multiple points scored in the final 30 seconds. Prata had his hand raised in a 10-6 win and earned the freestyle Golden Boot. North America ran away with the top-three spots in the team race of the women’s freestyle tournament at the 2018 Junior Pan American Championships, with USA taking first, followed by Mexico and Canada. Mariela ESCALANTE HERNANDEZ defeated Greidy ESTUPINAN PEREZ (COL) in the 50kg finals, 5-3 to give Mexico their first gold women's wrestling gold medal. Atzimba LANDAVERDE MORENO (65kg) and Miriam OLVERA GONZALEZ (76kg) also won continental gold medals, helping Mexico score 152 points and the silver medal in the team race. Three 2017 Junior Pan Am runner-ups made it to the top of the podium for Canada. Gold medalists included Jayd DAVIS at 53kg, Hannah TAYLOR at 57kg and Dejah SLATER at 68kg. Two additional bronze-medal performances and a silver pushed Canada onto the podium with 135 points and the third-place team trophy, edging out Brazil’s 131 points. American-born Domenic ABOUNADER (LBN) may have fell to Hassan Yazdani in the 86kg finals, but he gave Lebanon its first-ever continental medal. Abounader showed he could handle the added pressure as two of his victories came by one point---an 8-7 decision over Aligadzhi GAMIDGADZHIEV (KGZ) in the quarterfinals and a 10-9 thriller over Adilet DAVLUMBAYEV (KAZ). Prior to Abounader's arrival in the final, the best previous finish at an Asian tournament was Khodr BCHARA's sixth place in Greco-Roman 130kg in the 1990 Asian Games in Beijing. The United States claimed the Greco-Roman team title at the 2018 Junior Pan American Championships, claiming six gold medals on Friday in Fortaleza, Brazil. Winning titles for the U.S. was 2017 Junior World silver medalist Cevion SEVERADO at 55kg, Dylan GREGERSON at 63kg, Lenny MERKIN at 72kg, Cameron CAFFEY at 87kg, Austin HARRIS at 9 kg and Anthony CASSIOPPI at 130kg. Cassioppi repeated the 2017 Junior Pan American Greco-Roman champion, defending his 2017 title when he pinned Paul MORALES (MEX) early in the finals. He was the tournament’s Outstanding Wrestler. 2. UWW Regional Development Officer and former Olympic wrestler Yuri Maier carries the Olympic flame before the start of the 2018 Youth Olympic Games in Buenos Aires. 4. It’s almost the weekend. Throw everything you have into today. UWW Regional Development Officer and former Olympic wrestler Yuri Maier carries the Olympic flame before the start of the 2018 Youth Olympic Games in Buenos Aires. It’s almost the weekend. Throw everything you have into today.